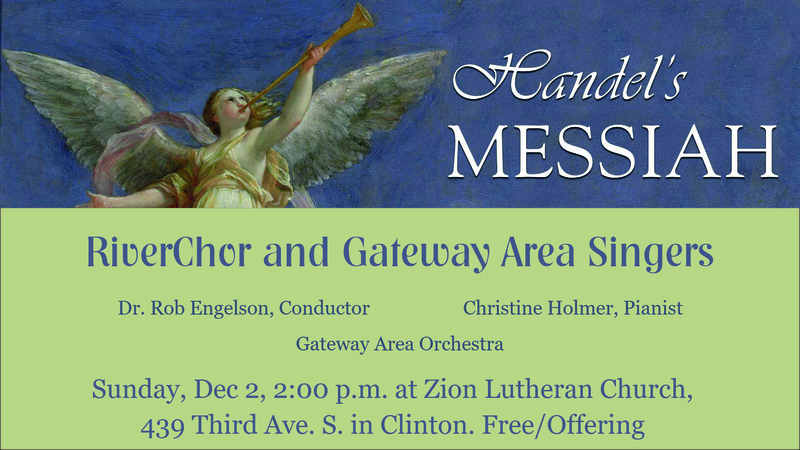 Since 1931, Handel’s Messiah has been performed annually in Clinton, and is an excellent way to kick off the Christmas season. RiverChor, Gateway area singers, area orchestral instrumentalists, and pianist Christine Holmer will perform much of the work under the direction of Dr. Rob Engelson, in his 21st and final performance with the group. Join us on this musical journey through Scripture on Sunday, December 2, 2018 at 2:00 pm in Zion Lutheran Church in Clinton, Iowa. A free-will offering will be taken to defray costs.